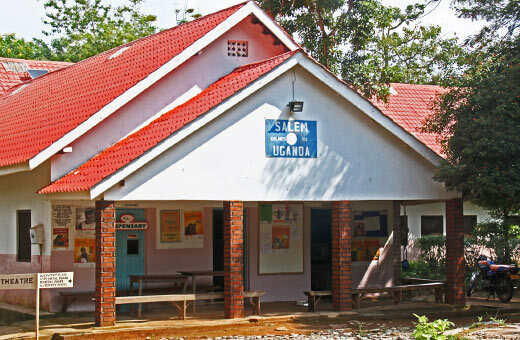 What started as a mobile health station beneath a fig tree has become the well-known Kolonyi Hospital offering many services to the local population. The hospital consists of a maternity unit, paediatric ward, nutrition wing and general ward. Over 60 patients can be cared for at the same time. Patients are commonly admitted due to mainly communicable illnesses which in most cases are preventable. However malaria takes a lead in all the cases that are seen at the hospital. Our hospital pays special attention to Malaria one of the world number one killers. We offer Malaria control and management through proper diagnosis, treatment, appropriate referral case follow ups and education geared to prevention especially the use of treated mosquito nets. Malnutrition is also another big seasonal challenge the hospital is facing. Severe cases of underweight children and adults are common. Nutrition education and Malnutrition management are conducted in the health service department in partnership with the outreach services. Other services offered by the hospital are surgeries of different kinds including caesarean section and reproductive health care services including family planning and the prevention of mother to child infections. The availability of the laboratory services play a very big role in the hospital diagnosis hence proper treatment plans especially in malaria. 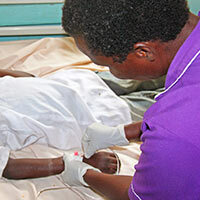 HIV/AIDS services is another crucial area being managed in the ART clinic. Environmental Health Services is among our major community services through promotion of latrine construction and use. The promotion of hygiene and sanitation in the homes and community sensitization are also areas of the work. Our motivated Hospital staff is always on alert to receive patients and all emergencies.